The US Food and Drug Administration (FDA) removed more than a thousand pages of documents from the offices of e-cig company Juul Labs in an “unannounced on-site inspection” last Friday. This surprise inspection and document seizure followed the FDA’s request in April for information explaining the youth appeal of Juul products, including details of marketing practices and product design. “The Juul inspection, which we completed on Friday, sought further documentation related to Juul’s sales and marketing practices, among other things, and resulted in the collection of over a thousand pages of documents,” the FDA told ECigIntelligence. A statement put out by Juul CEO Kevin Burns on Tuesday reiterated the company’s commitment to “engagement” with the FDA and law-makers, and described the inspection as “a constructive and transparent dialogue”. Burns also emphasised that Juul has handed over more than 50,000 pages in documents to the FDA since April, and that the company intends to meet the FDA’s demand for a plan to reduce the appeal of e-cigarettes to minors. The agency has requested proposals within 60 days. “We want to be part of the solution in preventing underage use, and we believe it will take industry and regulators working together to restrict youth access,” Juul reiterated to ECigIntelligence. The FDA’s move on Juul forms part of a wider crackdown on e-cigarette youth appeal which ECigIntelligence has extensively covered. Last month, the FDA announced the largest enforcement effort it has ever taken in the e-cig industry, and Gottlieb has recently started using the word “epidemic” to describe the use of e-cigs by minors. In previous comments, the FDA pointed the finger not only at Juul, but also at the Reynolds American product Vuse, Altria’s MarkTen XL, Imperial Brands’ Blu and Japan Tobacco International’s Logic. 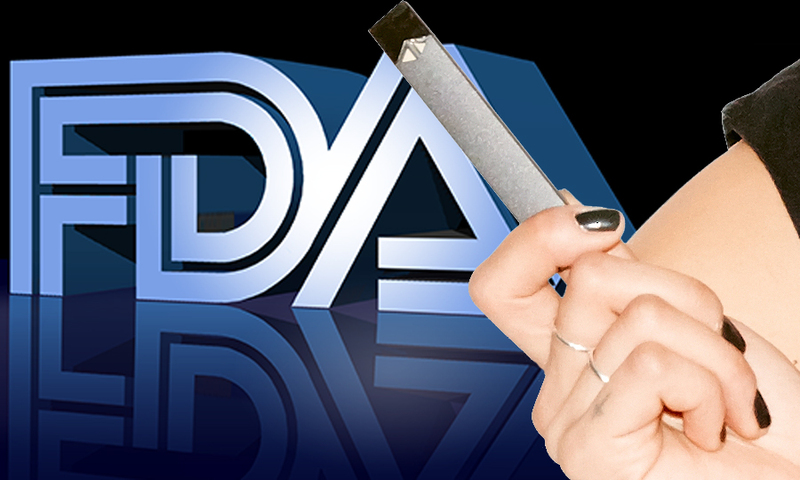 When asked, the FDA refused to say whether it had inspected – or intended to inspect – firms other than Juul in similarly unannounced manner. What This Means: Youth vaping appears to be the line in the sand for the agency, and it is increasingly clear that if the industry seems to be deliberately or recklessly crossing that line, the FDA will not be mollified by the reduced-risk benefits of e-cigarettes. An “unannounced on-site inspection” is, after all, a raid in all but name, and represents a further escalation of enforcement. The FDA has even threatened that if it remains unsatisified it might bring forward the deadlines for premarket tobacco product applications (PMTAs), a move which would impose huge costs and compliance burdens on the industry and possibly result in some products disappearing from the market. But the big question stays the same: what will the FDA consider sufficient action by industry members to alleviate its concerns?